? Easy to shape aluminum frame for custom fit.
? 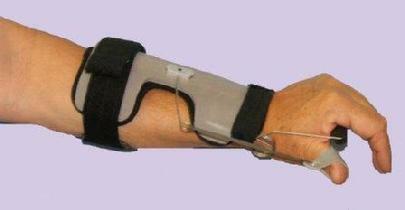 Coiled spring at wrist produces dynamic wrist extension. 35411 35412 2-3/4" - 3-1/4"
MEDIUM 35413 35414 3-1/4" - 3-3/4"